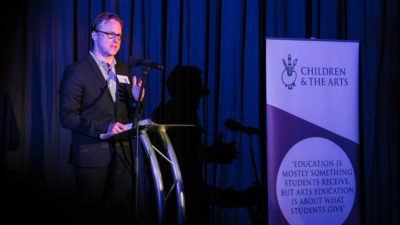 The future of arts education – just for the elite? 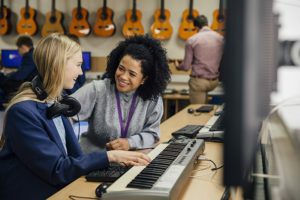 In a guest post on GCSE results day, Deborah Annetts of the Incorporated Society of Musicians and founder of the Baccforthefuture campaign warns of the threat to the arts from the EBacc exam system. “Today, 16-year olds across the country received their GCSE results. But how many entries for a GCSE in a creative subject (such as music, art and design, dance, drama, design and technology, media/TV/film studies or performance) were there? Only 8.4%. This is truly worrying. The uptake of creative subjects at GCSE has already decreased by 28% between 2010 and 2017, whilst uptake of creative subjects at GCSE has declined by 10.2% in the past year. This, coupled with robust research from all corners of the creative industries – including the BBC, University of Sussex, Cultural Learning Alliance and more – paint a very clear picture. The government’s EBacc policy is undermining the uptake of creative GCSEs in schools in England. Pressure on secondary schools is actively lowering pupil participation in the arts. The EBacc focuses on a narrow range of subject areas, including English (language and literature), maths, sciences (double or triple award), a modern and/or ancient language, history and/or geography. The objective is that ‘90% of pupils’ will take the EBacc and this will mean that every pupil will have to take a minimum of seven GCSEs. Keeping in mind that the average number of qualifications taken by Key Stage 4 pupils is 8.9 and the average number of GCSEs taken is 8.1, there will be precious little room for pupils to study any creative subjects. 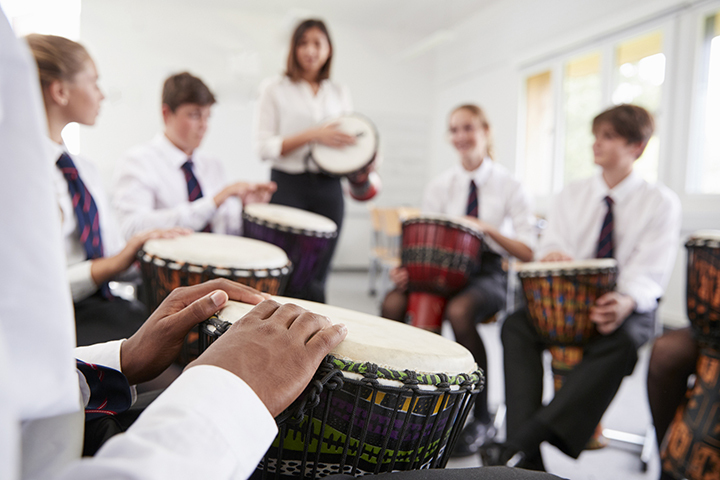 The pressure on secondary schools from the EBacc, combined with cuts in funding, is reducing opportunities in schools and actively lowering pupil participation in the arts. The arts are not an add on or a nice to have, but are part of the fabric of our society. We believe that the arts should be a vital part of a broad and balanced curriculum allowing students to be creative and express their ideas. They provide knowledge, skills, values and attributes that can play a significant role in young people’s development, equipping them to navigate a rapidly changing world. The arts are not an add-on, or a nice-to-have, but are part of the fabric of our society, and all young people have a right to experience the best, and to be given the opportunity to contribute to the arts and culture of the future. However, the EBacc as it currently stands is jeopardising the future success of our creative industries by significantly reducing opportunities for the next generation of musicians, technicians, designers, artists, actors and all the vital roles within a prosperous creative industry. The creative industries are the fastest growing sector worth over £92bn to the UK economy and supply more than 2 million jobs. In fact, The World Economic Forum forecasts that by 2020 creativity will be in the top 3 most important skills for future jobs. The Government must ensure that all pupils have the chance to pursue the arts regardless of their background. The Government must ensure that all pupils have the chance to pursue the arts and have the opportunity to develop their creative skills regardless of their background. We must equip our young people with the right skills for the future. 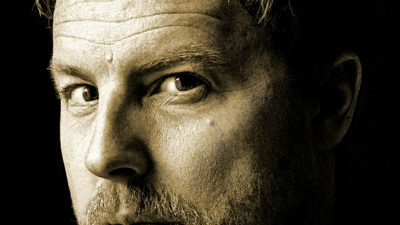 Our thanks to Deborah Annetts, ISM and the BaccfortheFuture campaign for this guest post.